The long-awaited Tax Cuts and Jobs Act, released by the House Ways and Means Committee on November 2, 2017, contains significant changes to the taxation of executive compensation and eliminates tax-favored treatment for several employee benefit programs that are popular with employees. Here is a high-level summary of the proposed changes: 1. Elimination of deferred compensation; 2. Nonqualified stock options no longer viable; 3. Public companies lose deductions on executive compensation; 4. New excise tax on tax-exempt employer executive compensation. The bill eliminates the tax-favored treatment of several employee benefit programs: 1. Pre-tax benefits under a dependent care flexible spending account or a dependent care assistance program (that is employer funded) would be eliminated. 2. Tuition reimbursement plans would no longer be tax-favored (currently, employers can provide pre-tax tuition assistance to employees of up to $5,250 a year). 3. Transportation fringe benefit plans, adoption assistance plans, qualified moving-expense reimbursement arrangements, employee achievement awards, and Archer medical savings accounts, would no longer be eligible for pre-tax treatment. The Republican tax reform bill released Nov. 2 proposes a new excise tax on compensation that would affect executive teams at tax-exempt hospitals. The legislation would also repeal the performance-based exception to the $1 million limit on deductible compensation. Right now, businesses can write up to $1 million in compensation expenses for the five highest earners in the company as well as any amount beyond that $1 million that is tied to performance targets. The GOP proposal will retain that $1 million threshold, but public companies would no longer be able to deduct annual performance-based compensation in excess of $1 million for the CEO, CFO and top three highest-paid employees. Anecdotally, physician career coaches report that physician salaries are flat at best. 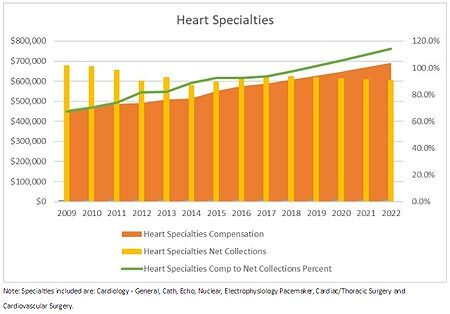 They have observed a downward trend for physicians' incomes, especially for specialties that have traditionally been well-paying, such as radiology. Primary care physicians, such as pediatricians and obstetricians, have not seen salary increases. Some physicians, even specialists, have been seeking nonclinical revenue sources to supplement their income. Changing compensation structures have hurt, not helped, the bottom line for most doctors. Physicians' salaries do not advance with seniority but rather based on production. 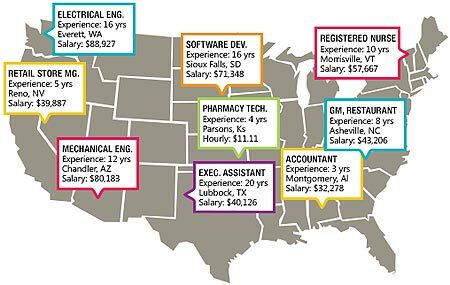 On average, health IT professionals made just over $73,000 in 2017, a 20% decline from the previous year, according to survey data published by Health eCareers. The company, which connects healthcare employers with job seekers, surveyed nearly 20,000 professionals in the healthcare provider industry ranging from clinical staff to executives. Informatics professionals were the hardest hit. Out of 724 survey respondents that identified themselves as health IT professionals, more than half indicated they worked specifically in healthcare informatics and data where the median salary was $46,000 annually, nearly $30,000 less than last year. There are a couple explanations for declining salaries. This year's survey included fewer IT executives, which are by far the highest-paid group. Their absence drags down the average. But part of that decline may also be attributed to hospitals and health systems paring back their use of consultants and hiring full-time staff at a cheaper price, according to Mike Silverstein, managing partner of healthcare IT and life sciences at Direct Recruiters Inc. in Solon, Ohio. Most health systems have implemented an EHR and don't need high-priced consultants to walk them through a complicated rollout. How much does the average neurologist make? Is it almost $315,000? Or less than $250,000? It depends on which salary survey you look at, which is why doctors should use those compensation reports with caution when trying to determine whether they are fairly compensated, according to the American Academy of Neurology. The salary surveys can be helpful in giving physicians a general sense of what other doctors in their field make and how much money they should ask for, but the numbers vary depending on how the surveys are done, which can result in vastly different results. Take in all this information you see -- and take it with a grain of salt. Use it as a guidepost, but don't expect things to go well if you're trying to make a hard-and-fast decision based on what's black and white on a salary survey somewhere. And keep in mind that some colleagues in the same specialty will earn more money than the average doctor, such as those with "rockstar status" who can attract new patients and increase an organization's prestige or those who take on leadership roles. For medical groups and integrated health systems, a perfect storm is gathering. While medical group costs -- including compensation -- continue to rise, productivity and collections are generally flat, according to AMGA's 2017 Medical Group Compensation and Productivity Survey. These trends are driving enhanced efficiency and consolidation, but the cost curve will only bend so much. Absent pricing power, medical groups are likely to recalibrate compensation for select specialties. The report, based on a survey of 269 medical groups representing more than 102,000 providers, shows that: Compensation rose for 77% of the 140 physician specialties AMGA tracks. The overall weighted average increase in median compensation was 2.9% for 2016, similar to the 3.1% increase in 2015. 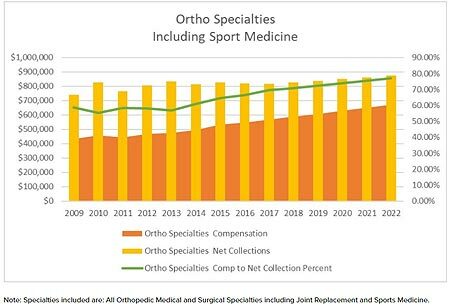 At the same time, 51% of the physician specialties reported a decrease in their median net collections in 2016. Net collections represent the actual dollar amount collected for professional activities after all discounts from gross charges are applied. These trends help explain the drive among health systems to enhance efficiency, in part through the mergers and acquisitions sweeping through markets across the country. These measures, however, can only bend the cost curve so much, and because physician compensation is a major cost center, many systems are facing added pressure to raise prices or curb compensation. Interested in submitting a proposal for the 2018 ASHHRA annual conference in Pittsburgh? Complete this form to be notified when the call opens. Presented by AHA Health Forum For the past eight years, Lean Human Capital has conducted the Healthcare Recruitment Benchmark Study and recognizes health care recruitment organizations that are performing at an "Elite" level with respect to productivity, process efficiency, responsiveness and quality. This recognition is called the Lean Human Capital Elite Honor Roll. Join us as Dana Cates, senior consultant at Lean Human Capital, reviews the 2017 benchmark study highlights and trends. She will also share her own experience as a health care practitioner and former Lean Human Capital Elite winner as she talks about her transformation journey. In addition, Dana will speak with one of this year's Lean Human Capital Elite Honor Roll recipients, Shana Welch, regional director, Talent Acquisition at Mercy Health and Saint Joseph Mercy Health System, to share its transformation journey and what the organization is doing with respect to recruitment performance. Speakers: Dana Cates, Sr. Consultant, Lean Human Capital by HealthcareSource and Shana Welch, SHRM-SCP, Regional Director, Talent Acquisition, Mercy Health and Saint Joseph Mercy Health System. 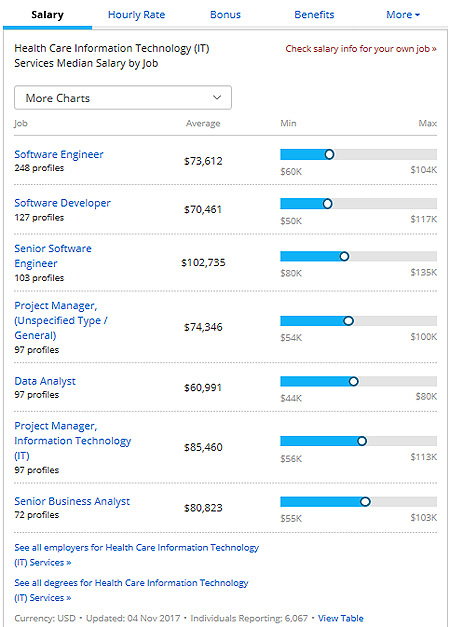 PayScale, the leading provider of compensation management software and real-time salary data, and Mercer, a global consulting leader in advancing health, wealth, and careers, and a wholly-owned subsidiary of Marsh & McLennan Companies, have formed a strategic alliance to bring together Mercer's expertise in compensation consulting and information products with PayScale's strength in technology and data science to advance compensation data and software solutions for clients and the future workforce. In connection with this alliance, Mercer will secure an equity stake in PayScale, which has built the world's largest crowdsourced database of salary profiles utilizing big data technologies. This investment builds upon the firm's leading position in reward consulting and information and its recent launch of Mercer Digital to support clients as they transition to new models of work that are enabled by digital technologies. For PayScale, this relationship enhances the company's portfolio and product capabilities with deeper consulting and data expertise to tailor solutions to customers' needs. As Mercer will provide a global channel for distributing PayScale's products, PayScale will provide a channel for Mercer's products. Together, they will collaborate to develop new, innovative compensation and workforce data products and solutions. For a complimentary PayScale benchmark analysis for a position of your choice, please email BenG@payscale.com. To update or remove your address, please click the "Unsubscribe/Manage" link below or email your request to: listmanager@HealthCareUpdateNewsService.com. Health Care Compensation Update e-Newsletter is one of a family of free e-Newsletters providing a complimentary video presentations and regularly updated news and key resources on major health care issues such as pay for performance, bundled payments and MACRA. To view and subscribe to other e-Newsletters go to www.HealthCareeNewsletters.com.